This basic chunky visor beanie will keep anyone warm! 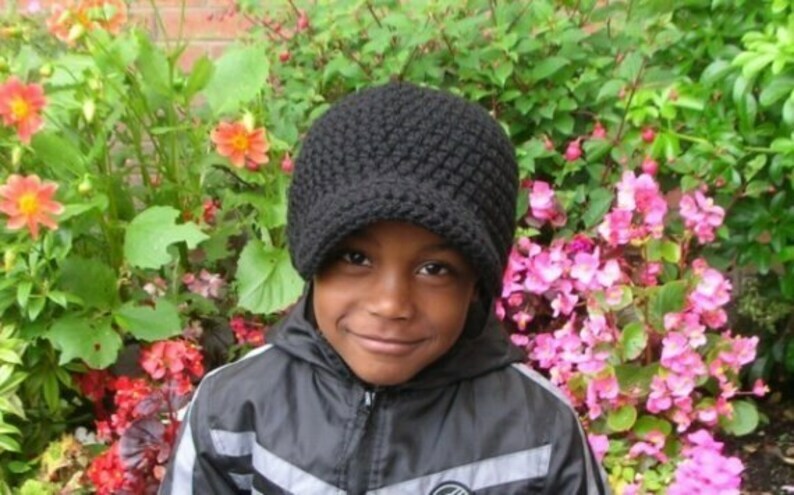 Crocheted using a soft and thick yarn to create a cozy, chunky beanie with a little stretch. You get directions for 5T-Preteen and Teen-Adult sizes, and both the US and UK stitch versions are included.